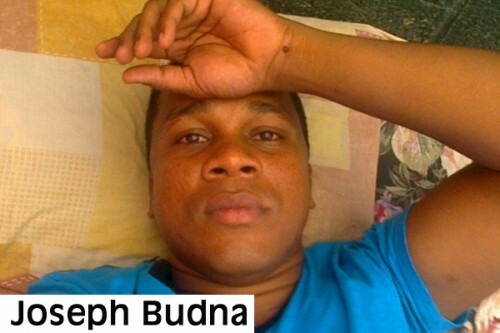 The trial of Joseph Budna, a Belizean accused of kidnapping Abimael Lopez Palma, 23, in the Guatemalan City of Chiquimula and taking him to Honduras to extort ransom from his father, is expected to conclude this week. Budna, who is being defended by a public attorney, Nery Garcia, has already been sentenced to 25 years in prison in Guatemala for the kidnapping of a US teenager, Luis Byron Reyes Onofre, back in August 2012. We understand that an appeal of that conviction is pending. In the Palma case, the complainant has alleged that he was taken from near the Central Park of Chiquimula, from in front of the town board in that area, by Budna, who he alleges wore a bulletproof jacket and carried a firearm, pretending to be an investigator. The complainant alleges that he was asked to participate in an ID parade in a case where a woman alleged that she had been robbed of her motorcycle and cell phone. The complainant alleges that Budna put a gun to his head and put him inside a green Mazda, claiming that he would have been taken to the police station, but he was instead taken to Puerto Barrios, Honduras. He said he was given his own cell phone to communicate with his father and family while he was kept at a residential area in Puerto Cortes for three days, but was taken back to Chiquimula, where a ransom was paid to kidnappers of 78,000 quetzales (roughly US$10,000). Budna contends that he and Palma were friends and Palma was part of a scheme to get money from his own father. We understand that Budna has another pending trial in Zacapa in March, in a similar complaint filed by Kevin Fernando Pacheco.